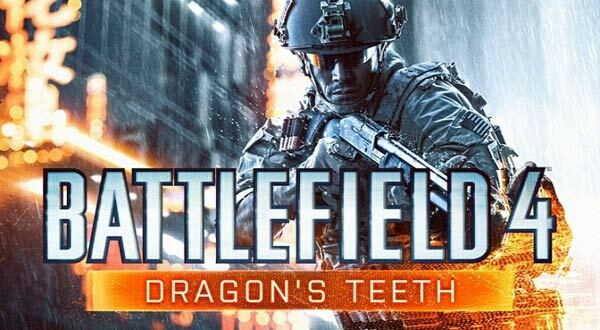 The Battlefield 4 Dragon's Teeth DLC pack has been officially announced by DICE and Electronic Arts. Many DLC details match previous leaks, uncovered by users in May. 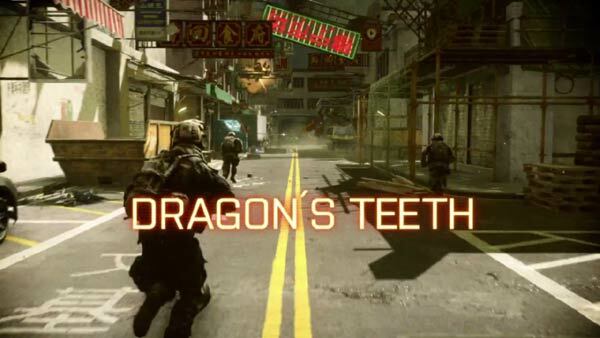 The Dragon's Teeth DLC is said to add four new multiplayer maps set in Asian cities. The maps are entitled Lumphini Garden, Pearl Market, Propaganda and Sunken Dragon. These new environments will take players on a destructive journey as they fight on floating restaurants or even use the tactic of draining a lake for a frontal vehicle assault. Five new weapons are also added in this expansion. However there is no confirmation yet as to whether they are the same weapons as those leaked in May, which included - two handguns, a submachine gun, an assault rifle and a sniper rifle. Along with the weapons we will also see the DLC provide players access to a Ballistic shield and the remotely-operated unmanned armoured ground vehicle called R.A.W.R. Dragon's Teeth will include ten assignments and a new game mode called Chain Link, which will allow players to win a game by creating chains, as they link game capture points together. Set for release this summer, Dragon's Teeth should be followed closely by the fifth and final piece of Battlefield 4 DLC called Final Stand, also due before summer is out. Digital Spy reports that Dragon's Teeth will be released in July, as suggested by leaked listings first discovered by MP1st on the Origin Germany website. Any players who own Battlefield 4 Premium will gain access to Dragon's Teeth two weeks early, as with the previous Battlefield 4 expansion releases. We have also previously reported that EA is working closely with Visceral Games on its newest entry in the Battlefield series, a cops and robbers-themed instalment called Battlefield Hardline, which is set to launch this autumn for PS3, PS4, Xbox 360, Xbox One and Windows PCs. Below you will find some teaser footage for all the DLC packs for Battlefield 4 which, of course, includes snippets of Dragon's Teeth and Final Stand. Waiting for Hardline and this should have released way early but if it comes with offer of “Buy this and you get the next half the price” then I'll think about it. I'll pass on another trash map pack. be had for less than £30 online - this has been worth every penny - years of gaming sorted. I should probably boot up my PC again really. Its been switched off for months now!